I think there are a lot of misconceptions about introverts out there. Primarily down to a lack of education I believe. People believe that introversion is simply about people who are shy, don't get out much and are crippled with anxiety. For some, yes, this is very much the truth for others, however, this isn't true at all. An introvert is defined in the dictionary as "a shy, reticent person" which if I am honest I am not sure I 100% agree with. As reticent means that you don't like to share your emotions or feelings readily and shy, well you know what that means. Some introverts will happily talk to a massive group of people for an hour but then have to go home and stay indoors for the rest of the day as they are just too mentally exhausted. To me, I identify introverts as being people who get worn out easily by social interaction which is why going out and interacting with lots of people is often challenging, therefore, making them want to avoid such situations where they would have to display said behaviour. In order to spread awareness of the topic, I thought I would share 20 myths about introverts that aren't true, enjoy! #3 There is something wrong with us! It's a disorder that needs to be fixed! #20 That we are old prunes and don't know how to lighten up! 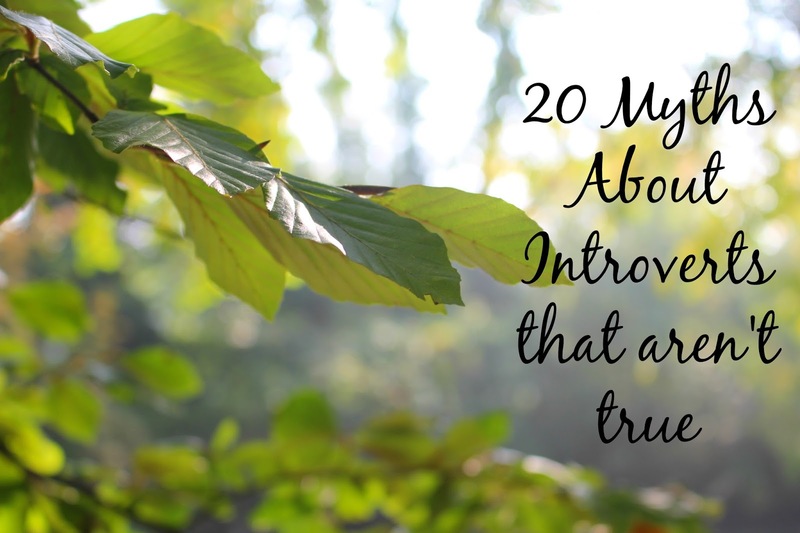 So next time, you feel like insulating an introvert, consult this list, please! Are you an introvert, extrovert or ambivert? Do you think there are any more myths about introverts that aren't true? Let me know in the comments below! I agree with these points! I would consider myself to be a introvert but that doesn't mean I don't have any friends and don't speak to anyone. Also, lovely photography on the post picture! I'm an introvert myself and while I feel I fit into some of these things, it's not like I constantly fit into all of them and that might be down to just being me and not just being an introvert. Have you done the Myer Briggs personality test? It's so interesting how freakishly accurate some of the stuff is! Love this so much! I can relate so much. I love being by myself, and I often choose to be alone rather than be with people. I hate going out and would much rather stay in on a Saturday night. But at the same time I love socialising when it's my choice, and with people that I'm comfortable with. It's annoying sometimes that the world seems to be made for extroverts! I can relate to this so much! 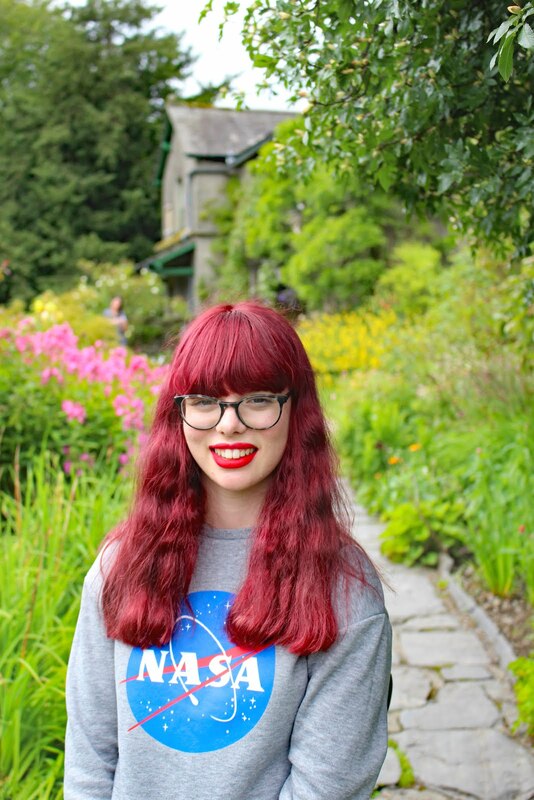 I am an introvert myself and honestly I am always left out of plans because people just assume that I won't come because I have 'no life' and I stay indoors and study all weekend (I don't - I do other things which are better etc) and I think that lots of people put introverts into the boring and quiet column! I love how you are speaking out and I am very inspired by this post to not let those stereotypes define me and those like me. Thank you for opening my eyes more to this issue! I would describe myself as more of an extrovert than anything else, and even still I need my alone time even though I get energy and buzz from socialising with a group of friends. I really like my own company too and like to have a day off on my own every now and then. I hate stereotypes about people and I think I agree that introverts are just worn out a lot more easily. I identify as an introvert and have been told on multiple occasions by different people and different personality tests that I am, indeed, one. I definitely agree with you on the part that the stereotypical attributes associated with introverted people simply aren't true to every introvert. For one to be an introvert, the psychological field must look for one who mentally recharges through isolation. This does not mean that we despise and cannot talk to people in large social settings. True, I get social anxiety, and true, I can get choked up when I'm with people, but I still very much enjoy interesting conversations with people. I just get tired and exhausted when this goes on for a long period of time. I would definitely say I'm an introvert, I find it hard to talk to new people, but like you said, it doesn't mean I have no friends and need to get a life. Far from it. I would describe myself as a ambivert - I love socialising and having fun, but me time with my bed is a close competitor! Great post, this definitely changed my perspective! Earn FREE satoshis at Easy Bitcoin Faucet. 11 to 33 satoshis per 10 minutes.